So here's my confession....I am a snorer, just ask my husband! In his words, it sounds like "a herd of stampeding wilderbeast" sleeping next to him - who says romance is dead ;) I'm frequently getting prodded and poked through out the night to stop my snoring and I'm sure if we had a spare bed, I'd be in it! 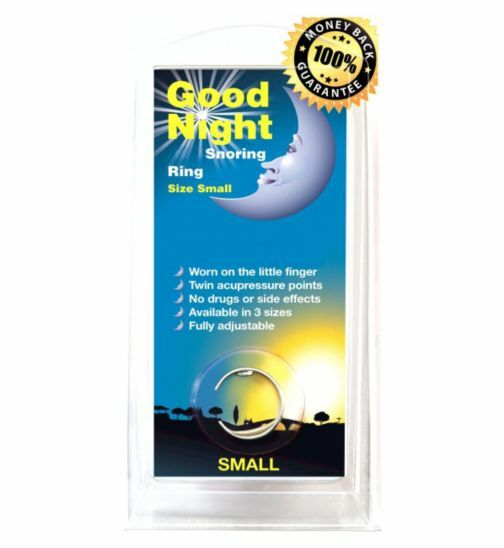 I spotted the Good Night Anti-Snoring Ring on Twitter and they very kindly sent me one to try out. My husband has never been so excited about a review! How does it work you ask? I wondered the same but the ring focuses on two acu-pressure points located on your little finger. 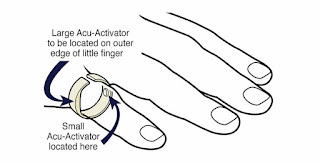 When the ring is on, the acu-activators work to free up your nasal breathing passages. 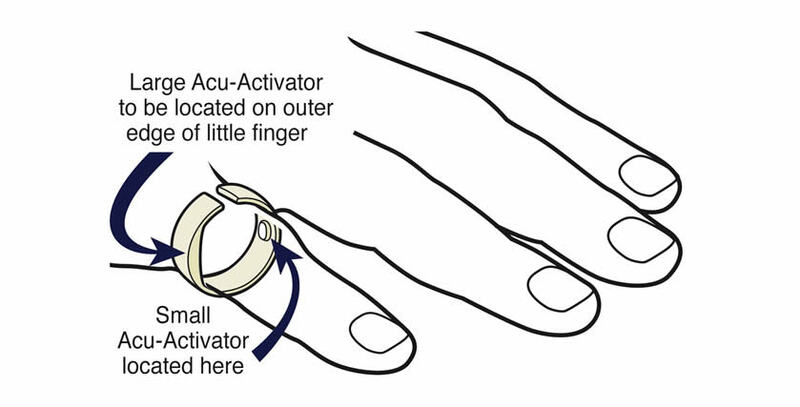 I admit, I was doubtful - how could something on my little finger affect my nasal passages?! The ring comes in three different sizes and is also adjustable - the website shows the different ring sizes making it easy to choose the best fit. It should only be worn at night as continuous wear will reduce the effectiveness. Heavy snorers can wear two rings, one on each finger but I thought I would try with one first to see how I got on. The rings I received were the smallest size and I thought I might have an issue with the fit as I have sausage fingers! But as the ring is adjustable I had no issues fitting on my pinky finger comfortably. Once the ring was on I went to bed and kind of forgot it was there. So, did it work?! Well yes and no. Yes in that my snoring has improved - the wilderbeast are no longer stampeding!! There has been a definite improvement but I am still snoring. So this tells me I might need to use both rings to get an even better result. I'm definitely going to carry on using the rings - my husband might get a peaceful nights sleep soon afterall! Wow it does sound good. It's a shame I'd never be able to afford it esp as I'd need two for husband who sounds like a ruddy train!! One day I'll get a good night!! CPAP pillow or a properly designed chinstrap device can also do the trick. Thanks for the tip.